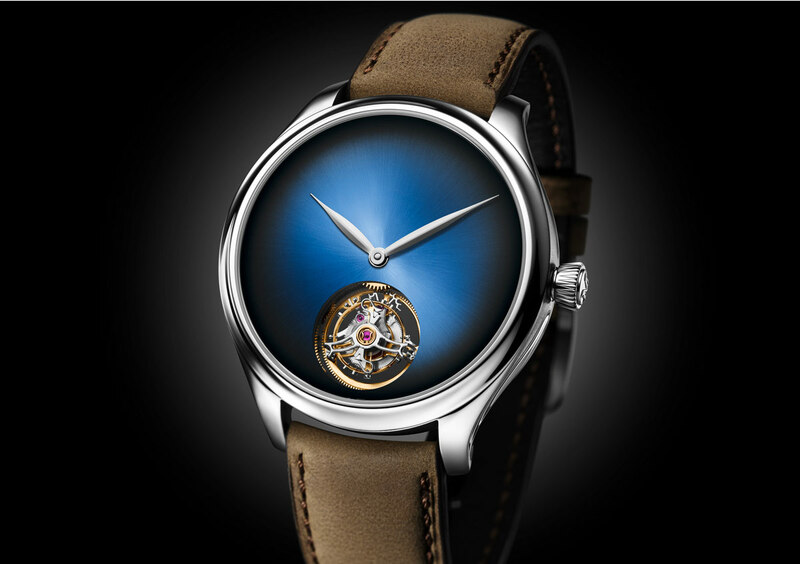 With the Endeavour Tourbillon Concept, Schaffhausen-based H. Moser & Cie. brings together the refined simplicity of its fumé dials with the unique visual impact of the tourbillon. Positioned at 6 o'clock, the eye-catching flying tourbillon takes centre stage in the funky blue dial with sunburst pattern and leaf-shaped hour and minute hands. 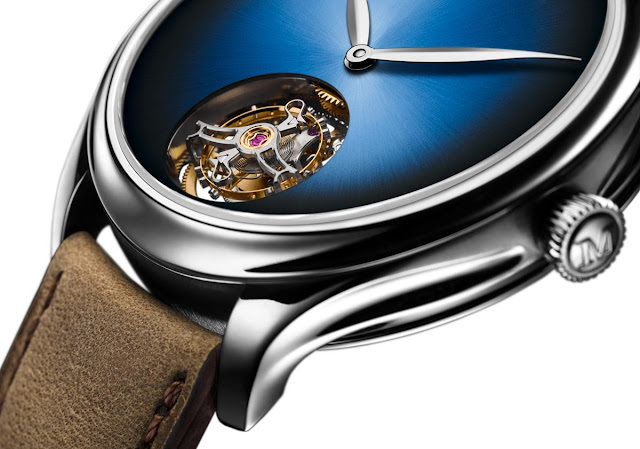 Behind the skeleton bridge of the one-minute tourbillon, the 3 Hz (21,600 vph) HMC 804 automatic calibre with three-day power reserve can be seen beating. Powering this movement, the red-gold skeletonised oscillating weight transfers the energy to the barrel via a bi-directional pawl winding system which reduces the time required to fully wind the watch. 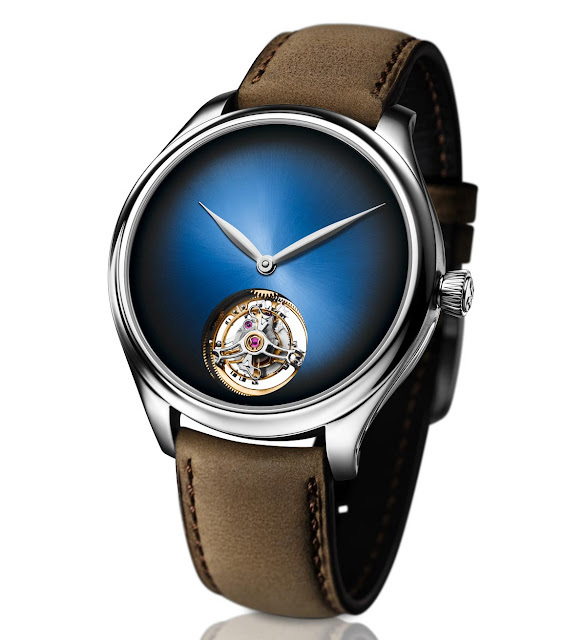 This tourbillon features two unique solutions: the state-of-the-art Straumann Double Hairspring which improves the accuracy and isochronism of the movement and the Moser Interchangeable Tourbillon Module which can be assembled and regulated independently of the movement, with a simple "plug-and-play" system, to facilitate servicing. H. Moser & Cie. Endeavour Tourbillon Concept. 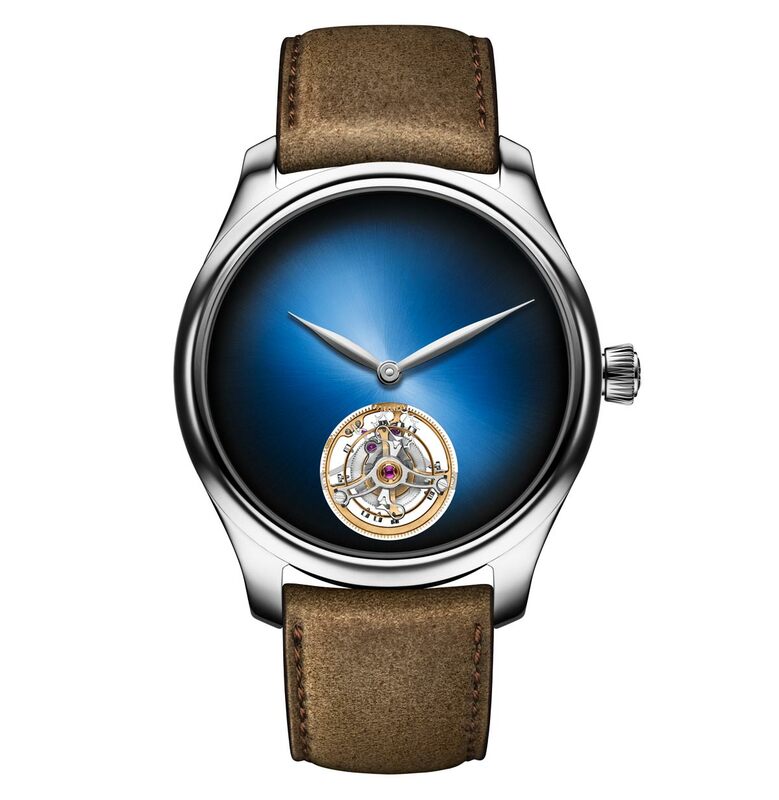 A limited edition of 20 pieces, the H. Moser & Cie. Endeavour Tourbillon With the Endeavour Tourbillon Concept, Schaffhausen-based H. Moser & Cie. brings together the refined simplicity of its fumé dials with the unique visual impact of the tourbillon. Concept (ref. 1804-0200) comes in a 42 mm x 11.6 mm white gold case and has a retail price of Euro 65,800.